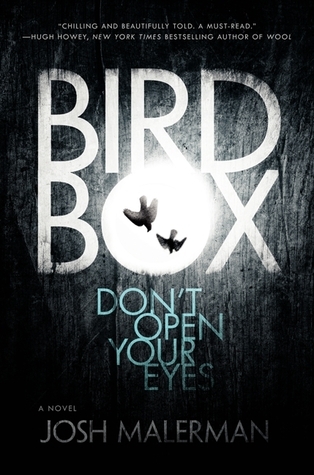 I loved Bird Box, the book by Josh Malerman. His take on the end of the world both fascinated and horrified me. I'll read anything the singer from The High Strung writes. When I heard Bird Box was coming to Netflix, I was thrilled. Cue Friday night, one plate of leftover Christmas cookies, and a cold Lite beer. Feet up, phone turned off, and I started Bird Box. The opening scene, Malorie (played by Sandra Bullock) rows two children down a river. All three of them wear blindfolds. It's a compelling image, setting up a storyline that flashes back and forth between the harrowing boat ride and what happened to bring them to this place, all driven by unseen horrors. Bullock does a great job of playing a woman who is driven by necessity to fight for survival. In the flashback, we see a heavily-pregnant Malorie painting a group of people, all seemingly alone even though they are together. It's this theme that I loved in Malerman's novel. The characters quickly learn it's impossible to trust anyone, making it nearly impossible to work as a group. This separation even impacts motherhood. When Malorie gives birth to a son and inherits another child, she doesn't even give them names. To her, they are Boy and Girl. She can't be kind to them, or soft, or even love them the way we think of mothers loving their kids. Bird Box asks the question: What does parenting look like at the end of the world? It's something the book returns to again and again. Malorie withholds food from Boy and Girl until they obey her without question. It's the true horror of Bird Box - that terrible adversity twists everything, even love itself. The ending of the film gets a little overly dramatic as if the director simply couldn't resist adding in some traditional scares and tropes. But for the most part, Bird Box is a non-stop ride through a frightening future with plenty of thrills along the way. If you're looking for a character-driven action movie, this is a wonderful choice. 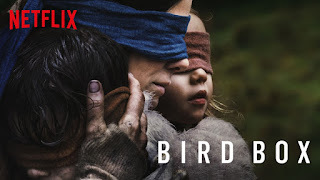 Bird Box captures the audience just like canaries in a shoebox and keeps us there until the very end. AWESOME review!! I loved this adaptation as well as the book!